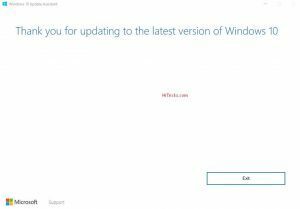 Home » Uncategorized » How to Forcefully Upgrade / Update Windows 10 to the Latest Version? On 12th May 2017, Worldwide Web Users experienced a massive Ransomware Attack which affected the whole world in more than 230,000 computers in over 150 countries. But, surprisingly enough, the Ransomware, called Wannacry only affected Windows PCs running Windows XP, Windows 7, Windows 8 and Windows 8.1. Users running on Windows 10 were safe from the attack. Also, MacOS, iOS, Android, Linux (and all its distros and flavors), ChromeOS were safe too. The ransomware Wannacry used a vulnerability that was existing in the older Windows versions. The impact of the ransomware attack was so high only because people were running the older versions without upgrading to the latest Windows 10. In fact, that forced Microsoft to release security patch updates for all their older Windows versions including the Windows XP. 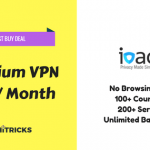 Well, as you have probably noticed, keeping yourself updated with the latest software editions is critical in this era of rapid Internet Development to protect yourself from Ransomware and other viruses. Because, the modern day software is also bundled with modern day security by default, which is shielding the user from the internet vulnerabilities. Many users are running on Windows 7, Windows 8 and Windows 8.1 with Windows 10 compatible hardware and still not upgrading themselves to the latest Windows. This article will help you force upgrade yourself to Windows 10 without much hassle. This is for Windows 10 Users. You probably know that Microsoft releases the Windows update as staged rollouts, which essentially means, it will be gradually spreading, and not all users will get the update on time. This article will help you to force update your existing Windows 10 to the latest released edition anytime. So, let’s always keep ourselves updated and protected from all sorts of dangers. Well, apart from the security updates, there are much more benefits of improving or force updating yourself to the Windows 10. Windows 10 has blended a lot of stuff from Windows 7 and Windows 8 and added much more power to it. Microsoft has released lots of major Windows 10 Updates with lots of new improvements, namely the Windows 10 Anniversary Update, Windows 10 Creators Update, etc. With the Windows 10, you can break your desktop and run two software side by side without interfering each other. More importantly, you can create as many desktops as you want and switch between them with just a click. It is kind of similar to the Android Recent Apps Screen. If Windows 10 worked on improving some basic requirement, it should be this one. It totally revamped the way you get the notification from your software. The connectivity shortcuts, with Wifi, Bluetooth, Airplane Mode Buttons, etc. are fresh and different from what it was in the Windows 8 variants. Did you recently switch to Linux for doing operations on the Unix Based Bash Shell? Well, Windows 10 got you covered. You can install Linux on Windows natively and operate the Bash Console from your Windows Terminal. It will execute all your commands you used to write on the Linux machine. And there are many more necessary additions, like the Cortana Assistant, the Microsoft Edge, etc. that adds a different touch to the Windows experience. Initially, when Windows 10 released, it was not so feature-rich, and it was full of bugs. But now it is better, every day. Consider yourself upgrading! Okay here’s the nasty thing, Windows 10 Update Packages can be up to 3GB of size, and you don’t have many options to download them on your pace. Windows will automatically do that for you. What you can control is the speed of your Internet connection. If you are on Broadband, a high speed and unlimited internet package are preferred. If you are on Mobile Network, then I suggest you move to a place having high-speed internet (Paid Wifi Hotspots, etc.important). One more thing, you should probably consider backing sensitive data on Windows, including your current version of Windows itself. This will help you to get yourself back to your current Windows version anytime in future if you want to. Also, you can backup your important files so that you don’t lose them if your Hardware corrupts during the upgrade process. 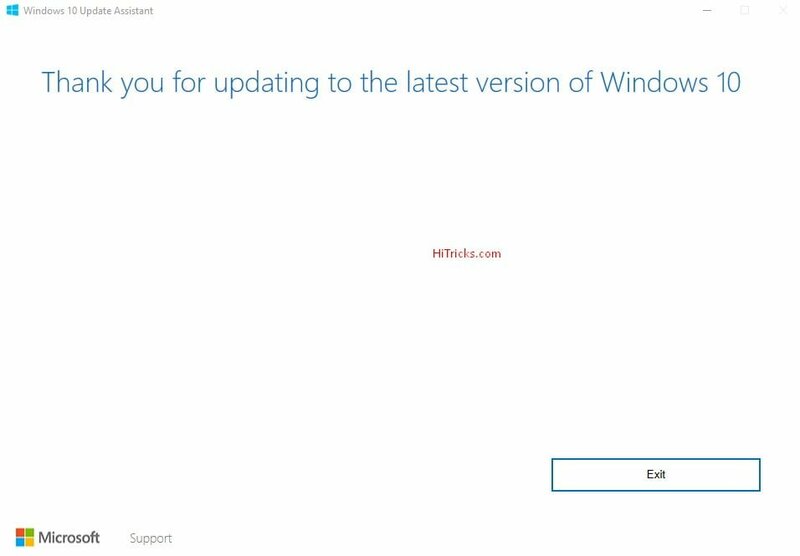 Well, this is an Update Tool released by Microsoft to help users to get the latest Windows version always. And it is hassle free and straightforward. You don’t need to go through any complicated registration process or something. You just download the Tool, and it will do the work for you. It will download the Windows, and install the update for you. Before you give you the download link to the tool, let me clear up something. 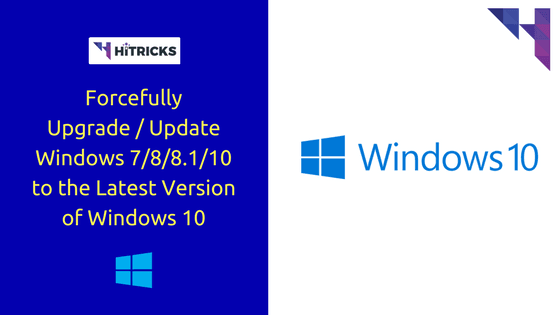 Firstly, This Tool will upgrade you to Windows 10 / Update your existing Windows 10 to the latest version without any cost. But, that does not mean you will get upgraded if you don’t have a license for Windows. So, this tool will first check your Windows version and see if it is activated, then it will install Windows 10. That means if you don’t have any license at all, you may not get the update. Secondly, the updated version of Windows will be synonymous with your current edition of Windows. Alright, let’s go ahead and download the tool. The official Windows 10 Upgrade Tool is available from Microsoft Website. Click Here to Visit. It will download a small tool. After installing that, run the exe file. It will then start downloading the Windows 10 variant suitable for your hardware. Before downloading, however, it will cross check all your hardware details to make sure it is capable for the upgrade. (Like Internal Memory available etc.). Whether you are on Windows 7 or Windows 8 or Windows 8.1 or an older version of Windows 10, it will always choose to download the latest Windows 10 version for you. At first, it will start downloading the Windows 10 from Official Microsoft Server. This step can take a lot of time if you have a poor internet connection. After the download completes, before starting the update / upgrade, it will prepare the files to be ready for upgrading. This step takes some time; it took around 30 minutes for me. However, you can see the progress bar in percentage, so hopefully, you can determine how much it is going to take for you. Once done, it will prompt you to restart your computer. If you have some pending work, complete it before restarting. Else you may lose your work. Caution: If you don’t choose to restart, or you are not active in front of your computer during the time of the restart, it will automatically schedule a reboot within 30 minutes. So, after that, it will be restarted automatically, and the upgrade process will start. The upgrading can take up to 1 hour. During that time, I recommend not to touch your computer at all. Let it do its job. Your computer is going to restart more than once during this time. Note: If you have Dual Booted any other OS with Windows (such as Linux OS), and have Grub Bootloader, then it is going to be a bit painful. (If you didn’t use Dual Boot Windows, you could safely ignore this). During the update process, you need to sit in front of the computer, and when it restarts in between the upgrade process, you need to select Windows from the Grub Bootloader. Else, by default, it will load the other OS in the top. You need to manually select Windows like you do everytime you start your computer. After update process completes, you will be asked to sign in to your Microsoft Account. And you are done. Congratulations! You have upgraded yourself to Windows 10 Latest Version successfully. Thanks for reading my post on How to force update Windows to the Latest version. I hope you can now go on with the upgrade on your own and always stay ahead with latest features. 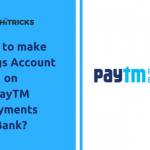 Do share this post with your friends and help them get the updates on time. And also possibly not become the victims of Ransomware attacks. Use the social share buttons below. If you have any further queries, please let me know in the comment section below. I will help you out. That’s all for now. Soon I will be back with another exciting update. Is the W10 Update Tool free of cost or ₹14,999/-? Windows 10 Update Tool comes at 15k? Ain’t?